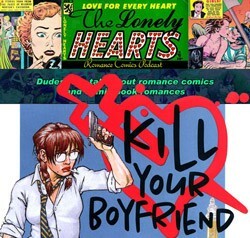 Hosted by Siskoid, with pals Furn, Marty and Bass, THE LONELY HEARTS ROMANCE COMICS PODCAST is basically about guys talking about romance comics, and about romances IN comics. 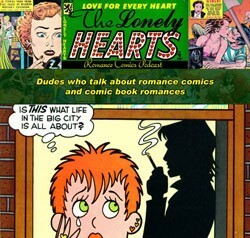 Featuring ROMANCE COMICS THEATER every episode! 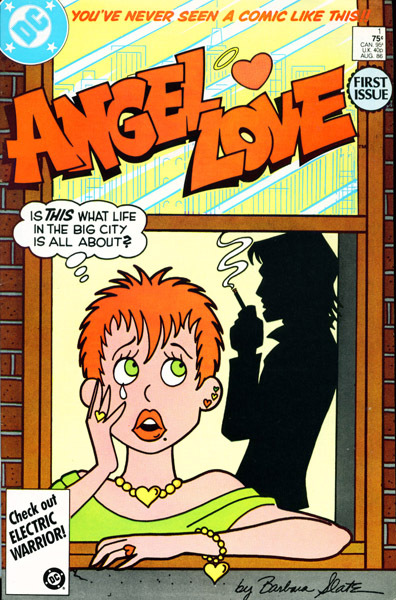 By way of Barbara Slate’s Angel Love #1 (DC Comics, 1986), the boys talk about love in the square 80s, the state of romance comics in that decade, and relationship deal breakers. 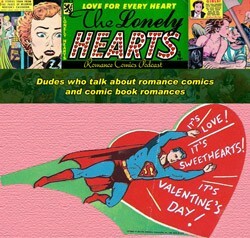 Plus, Romance Comics Theatre, and your feedback about Superman’s love life! 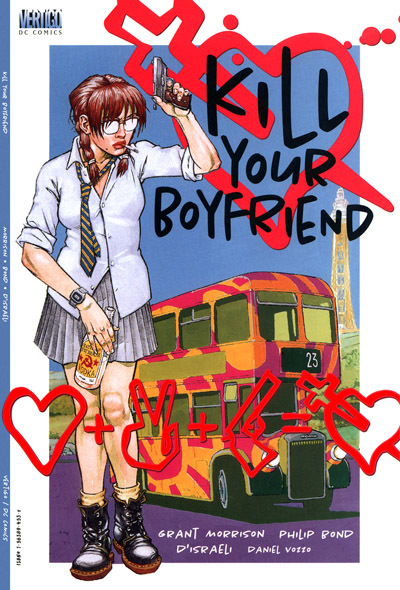 Listen to Episode 16 below (the usual filthy filthy language warnings apply), or subscribe to The Lonely Hearts Romance Comics Podcast on iTunes! 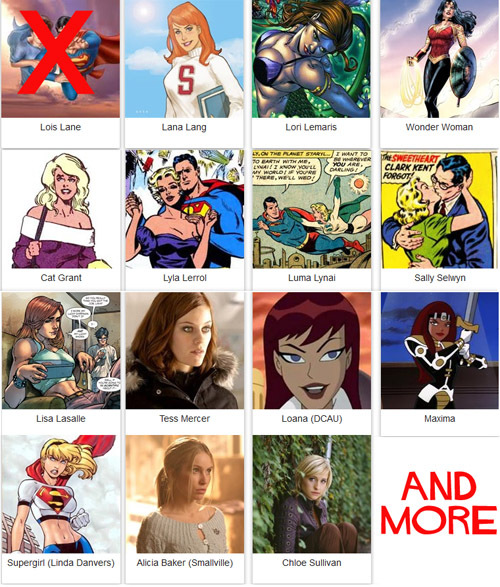 We’re back from hiatus! 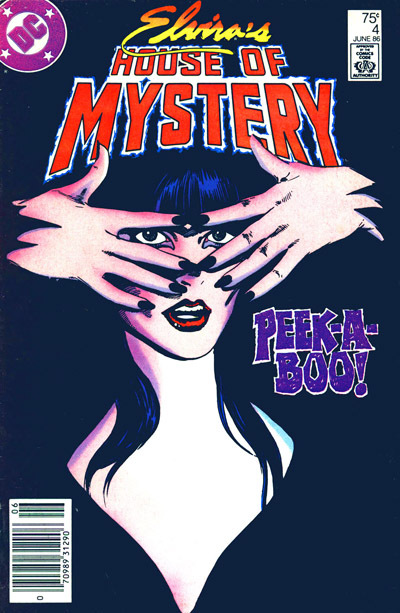 Just Siskoid and Furn to ease ourselves in, in this sequel to TWO past episodes. 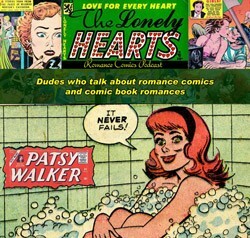 In the main part, the boys finally read the Patsy Walker comic they bought back in episode 7, then in the Male Bag, we follow-up on episode 13, in which we asked listeners to rewrite the classic romance story “Jilted” and deliver a Romance Comics Theater based on the network’s good buddy Anj’s submission! 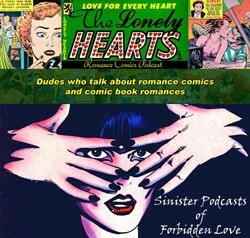 Listen to Episode 14 below (the usual filthy filthy language warnings apply), or subscribe to The Lonely Hearts Romance Comics Podcast on iTunes! 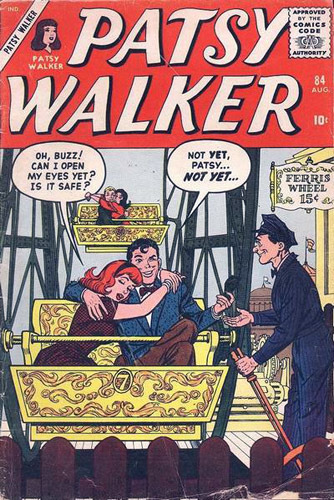 How about some pages from this issue of Patsy Walker, by Stan Lee and Al Hartley?